. 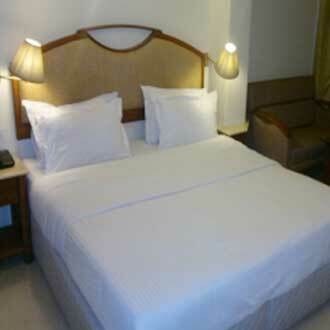 :: Hotel Airport International MUMBAI :- Ace Tours ::. 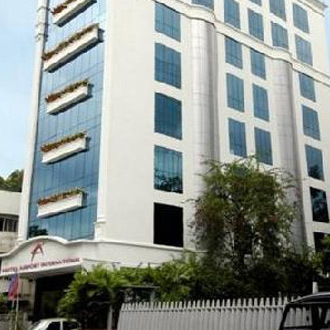 City centric, Hotel Airport International is located at a short walk from Domestic airport. 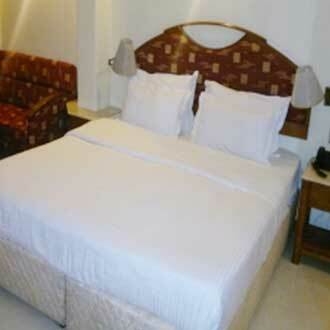 This hotel provides a blissful stay in its nicely furnished rooms. 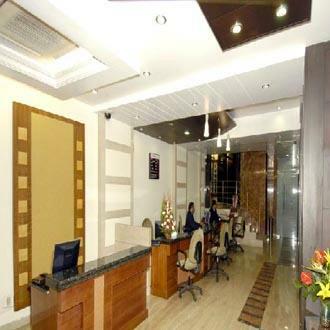 Hi-end facilities like complimentary-breakfast, newspapers, secured parking space, pick and drop service from airport & many such modern comforts are been equipped. 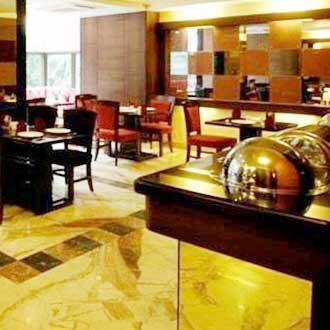 This contemporary hotel has elegant decor, and houses a multi-cuisine restaurant with chic interiors. A coffee shop corner is also present. 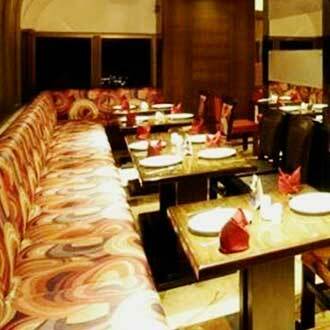 Guests are catered to from this restaurant, and they can savour the multi-cuisine delicacies served here. 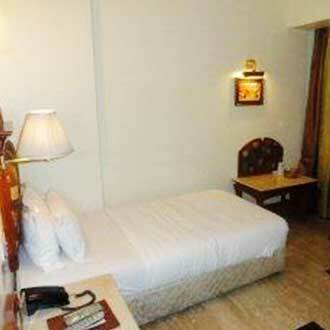 Super Deluxe Room Apex Rate The stay is in a centrally air-conditioned 200 sq feet room. 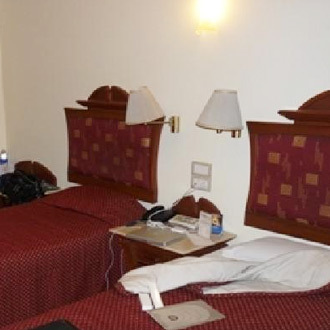 The well-lit decor includes a king-size bed or twin beds and a work desk. Guests are facilitated with a bathtub in the bathroom. Wi-Fi connection, same day laundry, 24-hour room service, direct ,dialing, a mini-bar, and computerized safe lockers with a credit card locking mechanism are some of the amenities available in the room. 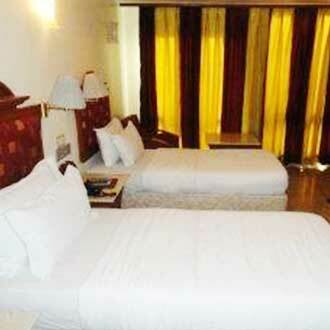 Transit Rate (Day Use 6.00AM - 6.00PM) This centrally air-conditioned 120 sq feet room is for single occupancy. The well-lit decor includes a single bed and a work desk. A bathtub, Wi-Fi connection, same day laundry, 24-hour room service, direct dialing, a mini-bar, and a computerized safe loc,ker with a credit card locking mechanism are some of the amenities available in the room. 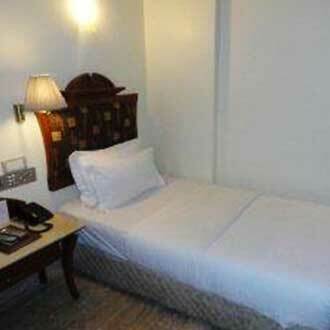 Deluxe Room Apex Rate The stay is in a centrally air-conditioned 120 sq feet room. It is furnished with a single bed and a work desk, and has amenities that include a Wi-Fi connection, same day laundry, 24-hour room service, direct dialing, a mini-bar, and a computerized safe ,locker with a credit card locking mechanism. 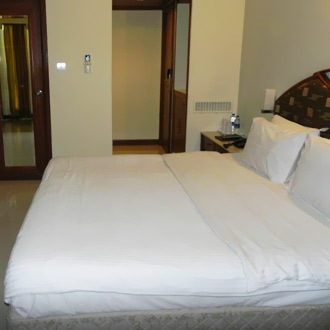 Executive Room - LIMITED PERIOD OFFER This is a 120 sq feet standard room for single occupancy, furnished with heavy curtains and a king-size bed. It also includes a coffee table with two chairs. There is no bathtub in the bathroom, but the room has amenities that include a Wi-Fi connection, ,same day laundry, 24-hour room service and a direct dialing facility. 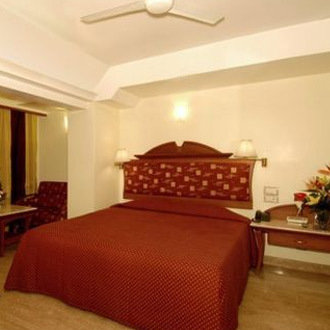 Super Deluxe Room Super deluxe rooms are gracefully decorated for a relaxed stay. 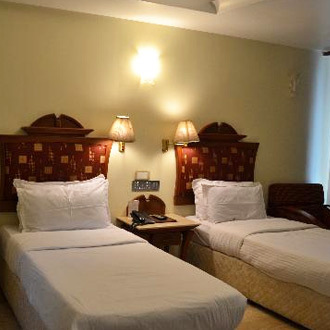 These rooms feature a premium television set for laughter with family, Wi-Fi, wake-up call facility and a stylish bathroom ready with stable supply of hot/cold water. 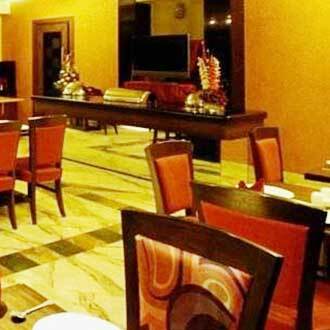 Guests can enjoy drinks ,along with friends in well set mini bar.